Here it is! The "final presentation" of the crystal chamber. 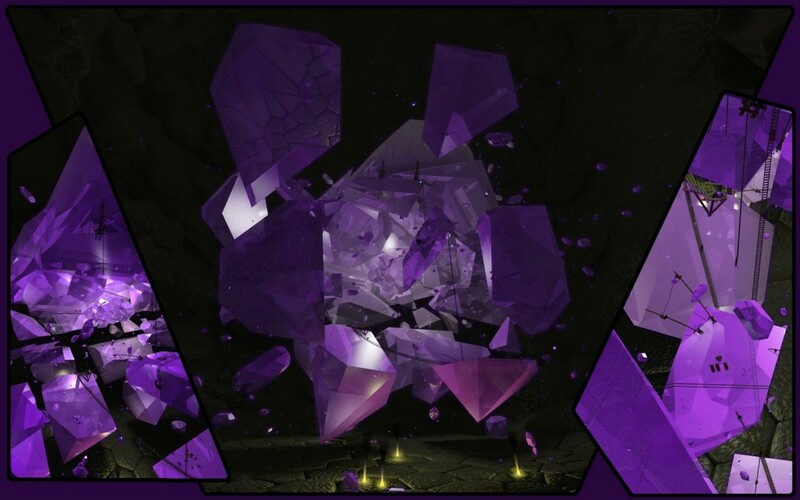 The idea is that this huge crystal was shattered by some huge blast of magical energy which imbued the shards. They now hang suspended in space, though many have been driven far into the solid rock. A camp has been assembled, not to remove pieces, but to bring them back together. As the crystal is re-assembled, its magical power grows.